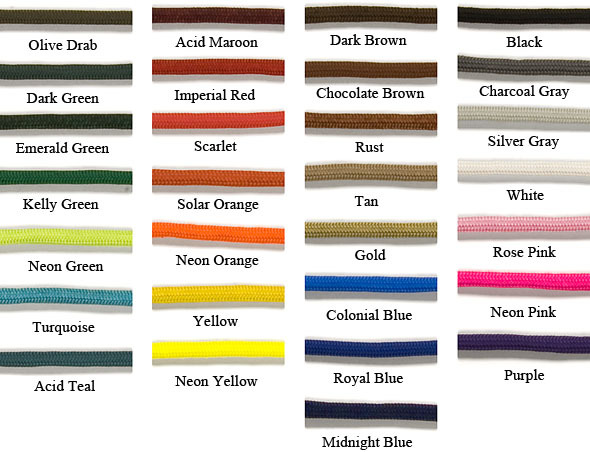 We are happy to be able to incorporate any of the colors you see below into the standard color scheme diagram (bottom of page) for the same base price of $170 for one whip or $10 off for a matched pair. See How to Order for more details. Handle base color is only available in white, black, red, dark green, and dark brown at this time. Although we tried very hard to take pictures that accurately show the true colors, please keep in mind that no camera is absolutely perfect and all computer monitors display colors a little bit differently. Please don’t hesitate to contact us at performancehybrid@midwestwhips.com if you have any questions. Is ist possible to send whips to switzerland? Sorry, i dont speek english. Is ist possible to send whips to Taiwan in Asia?! So long as Taiwan (or any other country or region) has no restrictions that would prevent us from shipping there, we are happy to ship to anywhere in the world! 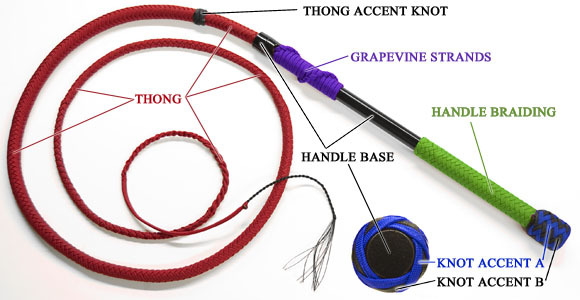 Hi, how long am i looking at for a pair of whips to be made and sent to Australia? Please contact me via the email listed on my website http://thewhipchick.com to inquire about current wait times. Thank you!